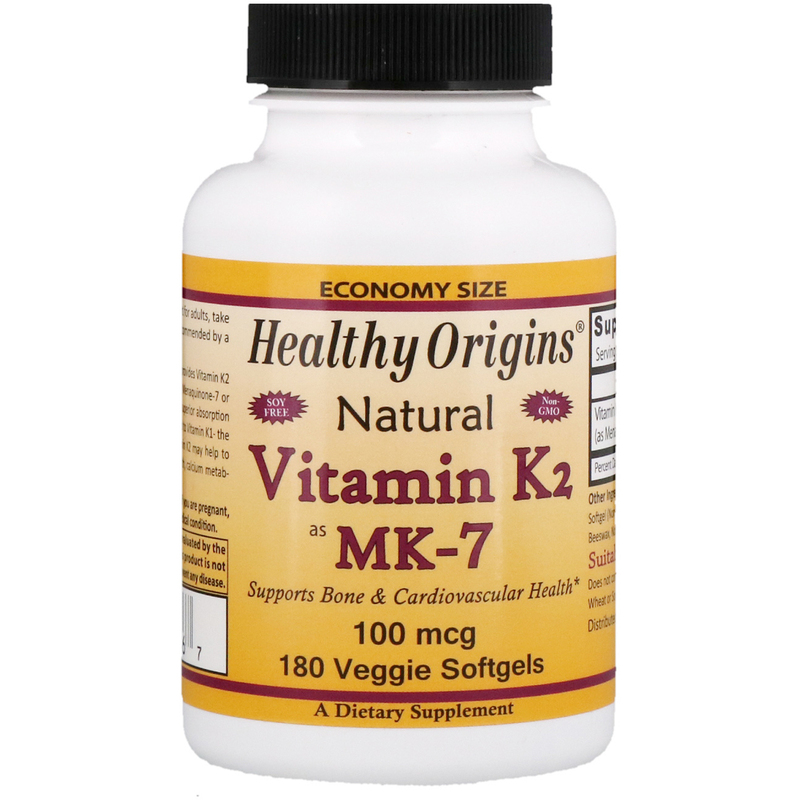 Healthy Origins Vitamin K2 (from Natto) provides Vitamin K2 in its most biologically active form called Menaquinone-7 or MK-7 for short. 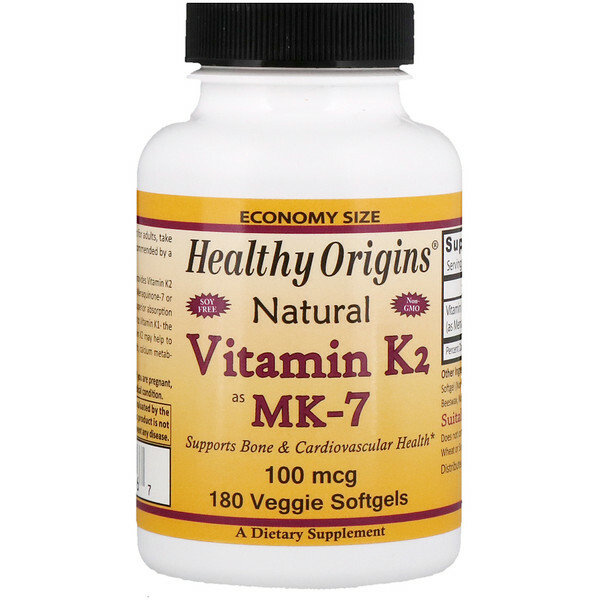 Vitamin K2 as MK-7 has superior absorption and retention in the body when compared to Vitamin K1 - the typical supplemental form. Natural Vitamin K2 may help to support bone health, cardiovascular health, calcium metabolism and arterial health. 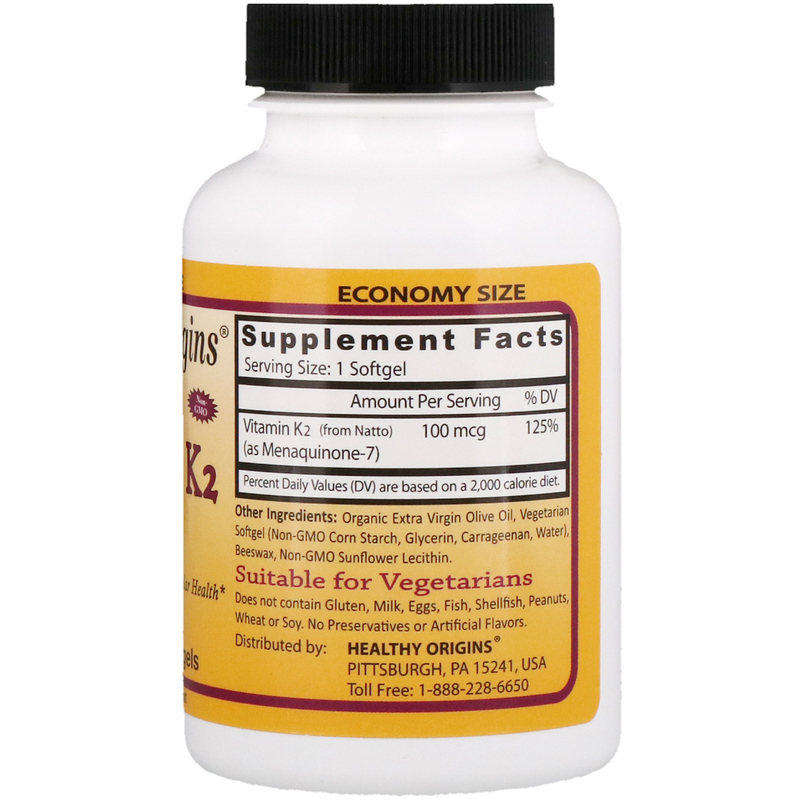 As a dietary supplement for adults, take one (1) veggie softgel daily, or as recommended by a physician. No milk, eggs, fish, shellfish, tree nuts, peanuts, wheat or soy. No preservatives or artificial flavors. Consult a physician before use if you are pregnant, nursing, taking medication or have a medical condition.